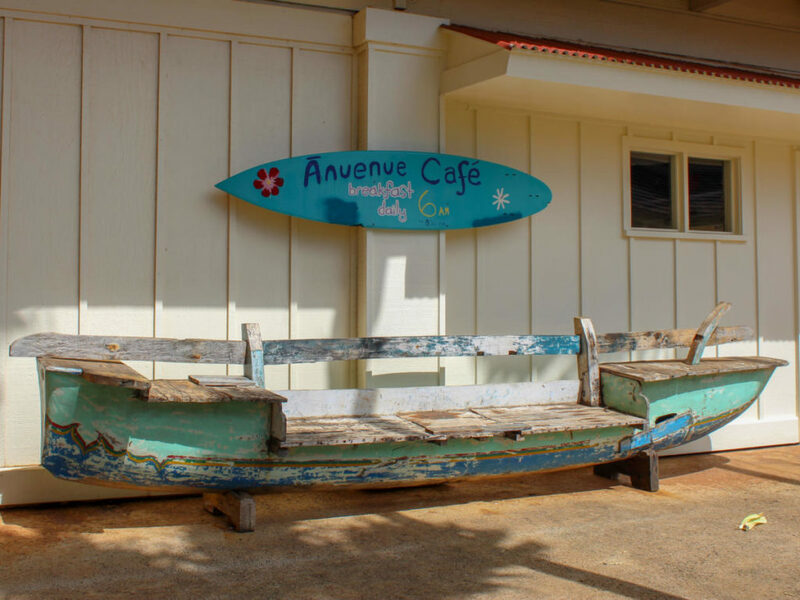 Where to eat after a long hike or exhausting adventurous day on Kauai. Where can you go to get heaps of delicious food for cheap and not have to dress up? 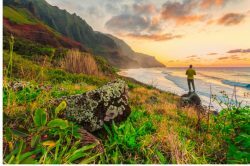 Kauai is, without a doubt, a tropical paradise imbued with spectacular and romantic energy. 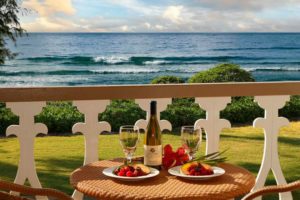 For a fine dining experience, you couldn’t go wrong in Kauai. There are many places to eat immersed in high-end class and luxury, with jaw-dropping ocean views under the sunset, candles floating in the wind, and flowers scattered atop the tables. But sometimes you want a quick bite. Sometimes you want to snack on something without silverware, feed everyone on a budget, and do it all while wearing flip-flops and beach gear. What are some of the best places to eat after a great day on a hiking trail, where you want a whole lot of food at an affordable price and without the luxurious atmosphere of a fine dining establishment? Thankfully, we have the answers with the five out-of-this-world casual Kauai restaurants. Al Pastor Tacos has attained an almost mythical status in Kauai. 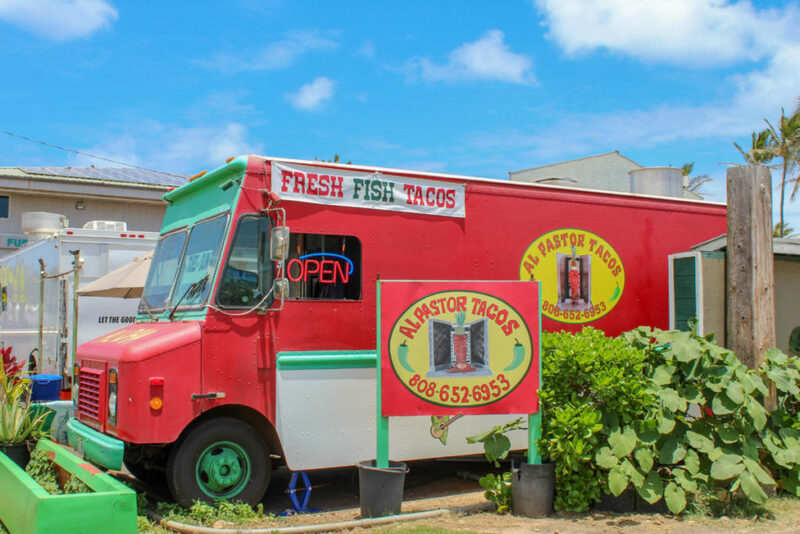 This taco truck in the village of Kapaa has the freshest most addicting shrimp, fish, ahi, pork and other tacos and Mexican delicacies all available with an outside patio area. The location is affordable, and guests often come and line their plates with three or more tacos at a time. Tacos come with sauce for dipping or pouring, rice, and vegetables. 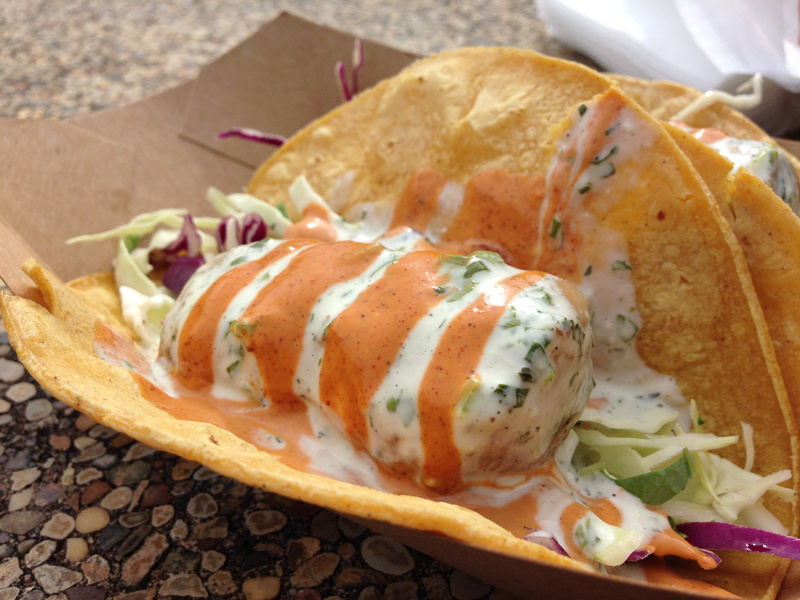 You will find the Al Pastor Tacos taco truck parked at its location from 11 a.m. to 4 p.m. every day except Monday. Brick Oven Pizza has addicting homemade sauces, pizza, pasta, sandwiches and other dishes that will impress anyone looking for appetizing Italian comfort far. Grab a small, medium, or large pizza with virtually any assortment of toppings you could ever ask for. The prices for a pie range from about $12 to $25, which is pretty modest. This allows you to stock up. Order an 8-inch for yourself or a larger pizza for the group and enjoy the delightful bite after bite of the lean beef and onion, margarita, pineapple or plenty of other pies. 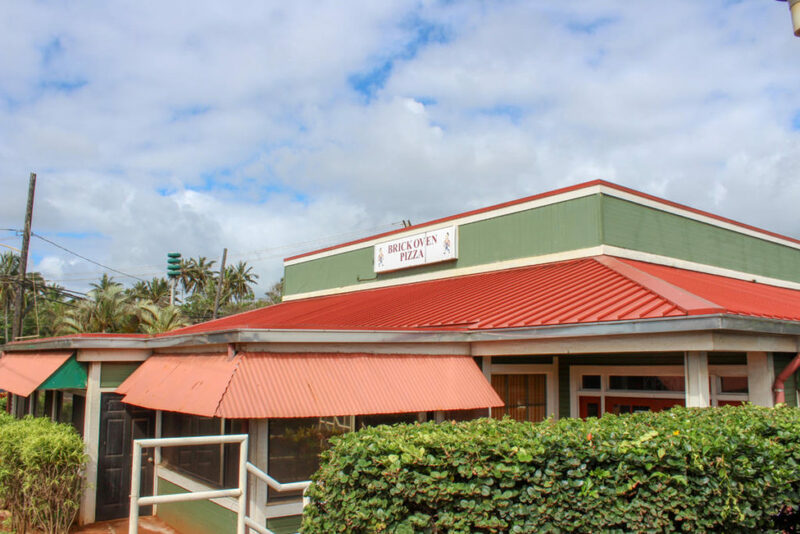 Brick Oven Pizza also has a full bar and it is located on the eastern edge of the island in Kapaa. It is open every day from 11 a.m. to 9 p.m. and closed Tuesdays. 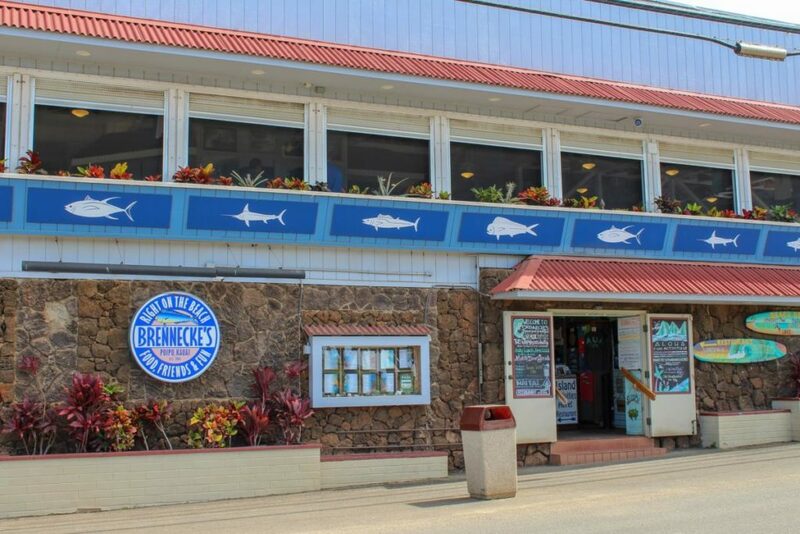 Brennecke’s Beach Broiler offers lunch, dinner, appetizers, and special deli sandwiches all throughout the day. This casual and relaxed eatery is famous for the ahi tuna burgers and is located right on the beach. After a long hike throughout the day, this is exactly the kind of place you want to find afterward. Brennecke’s Beach Broiler is open from 10 a.m. to 11 p.m. every day. Anuenue Café is located in the Poipu Shopping Village. It is the casual eatery focusing exclusively on breakfast and brunch. If you end up on an early-morning hike, the Anuenue Café is the perfect spot to visit. You will find classic American breakfast items, such as omelets, seafood and eggs, and more. The café opens at 6 a.m. and closes at 12:30 p.m., so be sure to get in on time after your early morning adventures. This laid-back eatery manages to have some incredible classic Hawaiian dishes from one of the most revered chefs in the state, Roy Yamaguchi, without the fine dining ambiance. Enjoy modern fare with authentic Hawaiian dish spinoffs all in a comfortable and cozy space. 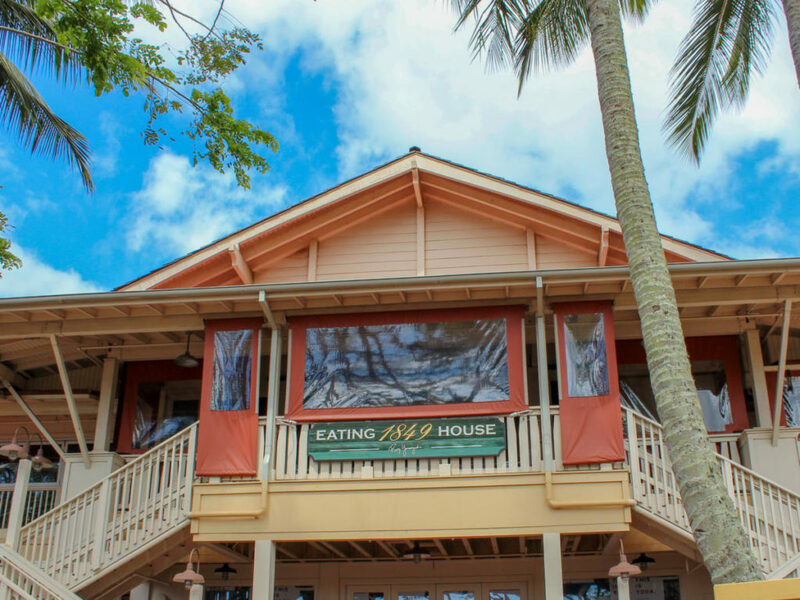 The Eating House 1849 Koloa is only open during evenings, from 5 p.m. to 9:30 p.m. It is an exceptional capstone to a massive and exhausting day in the jungle and on the beach. 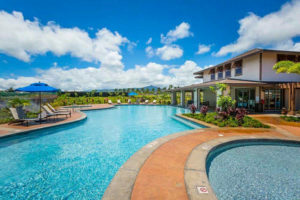 Contact our team at (888)-822-2403 to discover more about top casual dining options on the island or to book one of our beautiful sun-soaked Kauai beach rentals. 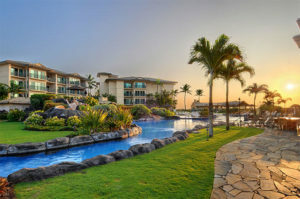 Many of our accommodations offer breathtaking views of the water, much more than a sheer glimpse while allowing you to explore and indulge everything you are seeking on our island vacation escape.